We are a reliable manufacturer, supplier, importer and exporter of Wall Clocks that are offered at very reasonable prices. Moreover these wall clocks are available in different shapes and sizes to precisely meet the diverse demands of customers. With vast industrial experience, we are involved in offering a wide range of Custom Logo Watch. We are offering Customize Clock. Customize watches with company logo. Our company has been successful in winning appreciation from the clients as one of the most prominent names in supplying Customized Clock. Backed with huge industry experience and market understanding, we are involved in providing a variety of Customised Cork Table Clocks for our valued patrons. 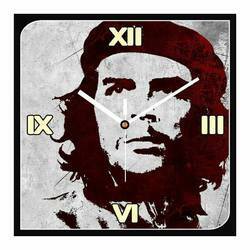 - Wall Clock Sides and back are black in color with glass on the top. Discount applicable according to the quantity. 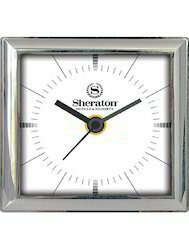 Customized Wall Clock 11.75" X 9.75"